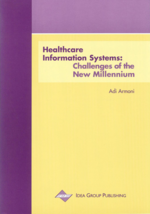 Some health care information systems (HCIS) do succeed, but the majority are likely to fail in some way. To explain why this happens, and how failure rates may be reduced, the chapter describes the “ITPOSMO” model of conception-reality gaps. This argues that the greater the change gap between current realities and the design conceptions (i.e., requirements and assumptions) of a new healthcare information system, the greater the risk of failure. Three archetypal large design-reality gaps affect the HCIS domain and are associated with an increased risk of failure: • Rationality—reality gaps: that arise from the formal, rational way in which many HCIS are conceived, which mismatches the behavioral realities of some healthcare organizations. • Private—public sector gaps: that arise from application in public sector contexts of HCIS developed for the private sector. • Country gaps: that arise from application in one country of HCIS developed in a different country.